The plan will develop the vision set out in the Euston Area Plan, a long-term framework to guide transformational change in the area up until 2031. To view the boundary for the Planning Brief please click here. We have developed some principles to guide the plan for the Euston station area, and want to know what you think. Have your say on the draft principles by 5pm on Monday 3 July 2017. We will use your feedback to refine the principles and help shape a draft planning brief, which we will consult on next year. We will use your feedback to refine the principles and shape a draft Euston Station Area Planning Brief, which we will publish for consultation in 2018. 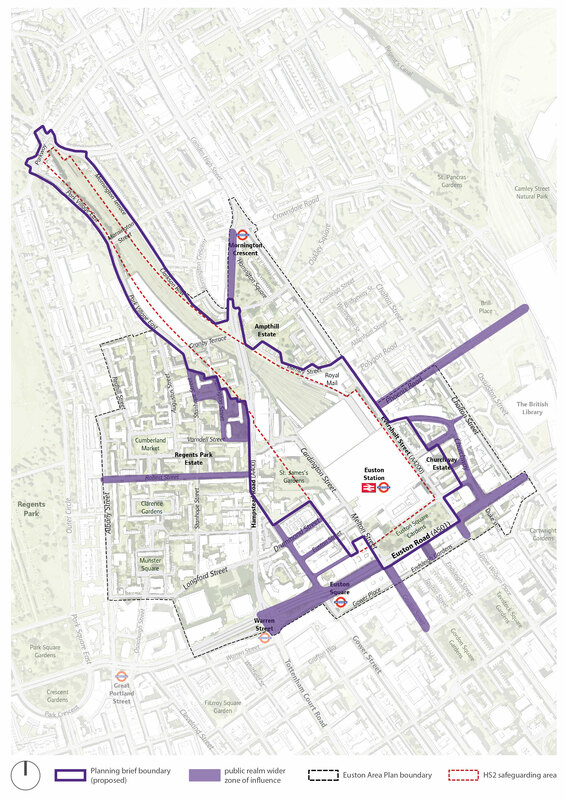 Find out more about the draft principles for the Euston station area planning brief and give your views at this drop in event.